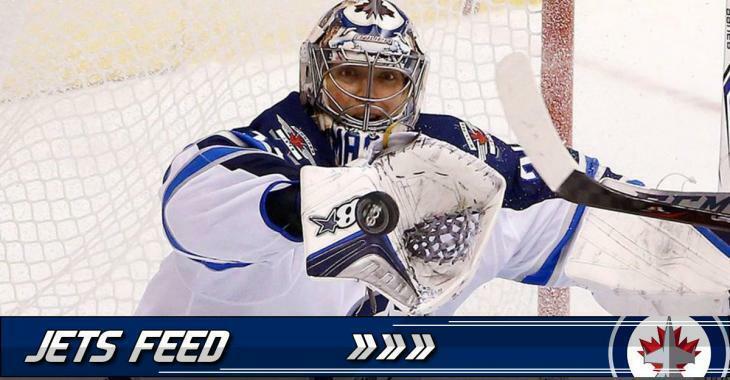 This is a good sign for the Jets goaltender! Winnipeg Jets goaltender Steve Mason resumed skating on Saturday, and he will travel with the team on their upcoming road-trip, as reported on Twitter by hockey insider Sean Reynolds. Head coach Paul Maurice also added that he thinks Mason will get the green light to see some pucks in the next couple of days. He was injured on November 26th against the San Jose Sharks with was is believed to be a concussion. Mason, 29, was drafted 69th overall by the Columbus Blue Jackets in 2006. He played 471 games in the NHL with the Jackets, the Philadelphia Flyers and the Jets, owning a record of 202-181-64 with a 2.69 goals-against average and a .911 save percentage. He signed with the Jets as a free agent this summer. Things didn't start well for him in Winnipeg, but he showed signs of improvement prior to his injury. He is 2-4-1 with a 3.45 goals-against average and a .911 save percentage. The Jets are playing their next game Sunday in Ottawa.